Delta Park is a unique natural area owned by the WVPD, located along the shore of Lake Champlain at the mouth of the Winooski River. 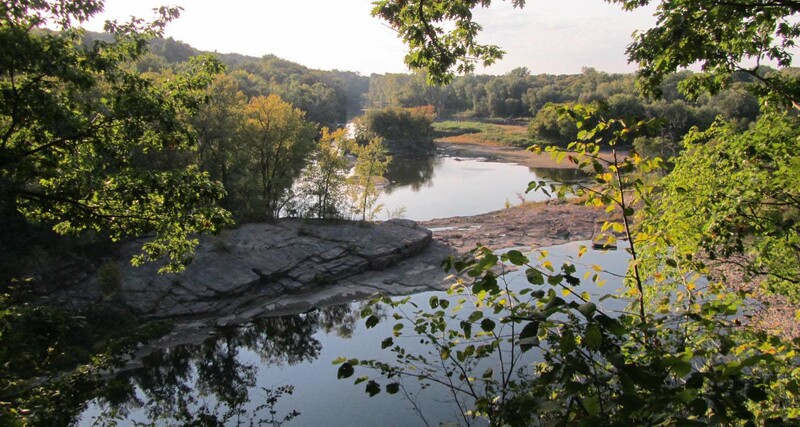 The 55-acre park contains a diverse mix of ecosystems, including floodplain forest, marshy wetlands, and over ½ mile of natural sandy beaches, which are uncommon along Vermont’s Lake Champlain shoreline. 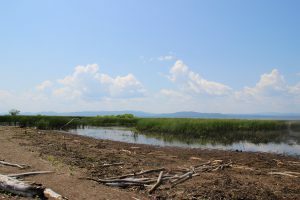 The Park’s sandy beaches provide ideal turtle nesting habitat – an increasingly rare occurrence along the highly developed Lake Champlain shoreline. The extensive marshes and shoreline of Delta Park make it valuable as bird habitat too. It is an excellent birding location and is designated as one of 17 site-based IBAs (Important Bird Areas) in the state by Audubon Vermont. 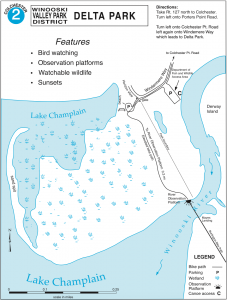 The trail through this park is a half mile, elevated bike and footpath with views of wetlands, Lake Champlain and the Adirondacks in New York. The bike bridge over the mouth of the Winooski River links this Park with Mayes Landing in Burlington, and is part of the Island Line Bike Trail. There is a small parking lot, and a picnic area off of Windemere Way in Colchester. We ask those looking to bike the Island Line Bike Trail to use the parking located at Airport Park, on Airport Road as parking at Delta Park is limited.